Gordon van der Spuy and his team pulled the event together in a show of logistical prowess that ran like clockwork. 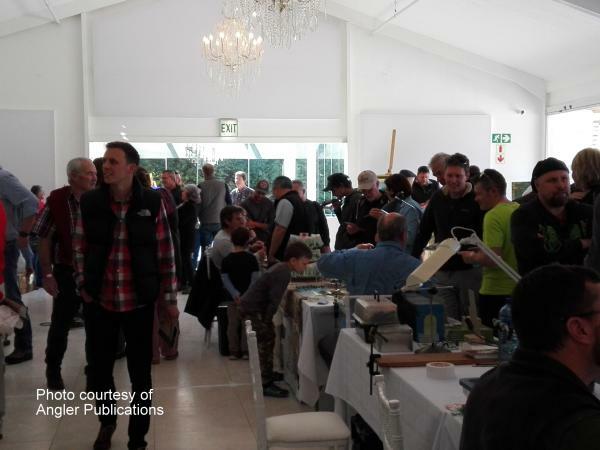 The Expo provided a wonderful opportunity for flyfishers to meet old and new friends, share experiences and spend some money towards some great causes. Funds raised are to be shared between Boland Fly Fishing, FOSAF and Trout SA. 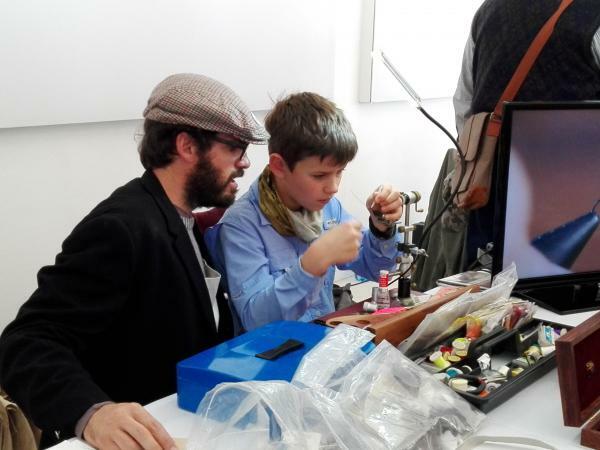 Also in attendance were the competitive anglers who provided a wonderful exhibition and demonstration of casting skills led by Tim Rolston and other IFFF casting instructors. Fine artworks and sculptures were also on display and the sale of flyfishing books and other paraphernalia was humming. The event ended off with a raffle of some marvelous donated prizes. The top prize was a fully guided trip for two to Lesotho valued at R18600 sponsored by Tourette. This was followed by an auction of a unique once in a lifetime collection of South African Flies tied by their originators, comprising some fifty flies in total tied by Tom Sutcliffe, Ed Herbst, Peter Brigg, MC Coetzer, Herman Botes, Maxi Holder, Conrad Botes, Tim Rolston, Gordon himself, to name a few and many others. This wonderful event marks a renaissance of flyfishing and was held in a spirit of camaraderie and cooperation that we found heartening and full of promise for the future. Well done to all involved and may we see the event grow from year to year.